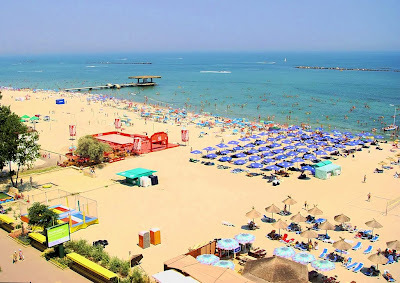 Mamaia is the biggest resort on the Romanian Black Sea shore. It is situated immediately north-east of Constanţa, Romania. Mamaia has almost no full time residents, being populated mostly during the summer. Mamaia is 8 km (5 miles) in length and only 300 m (328 yards) in width, being a strip of land between the Black Sea and Lake Siutghiol. 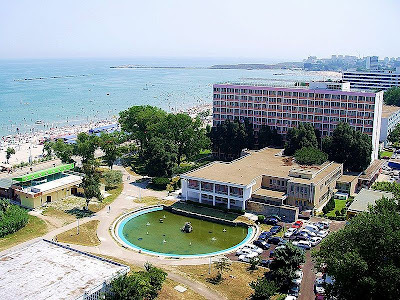 Through major developments throughout the past couple of years, Mamaia has transformed itself into a major summer destinations of Europe. The beach season is at its best between mid-May and late September, when average daytime temperatures are 25 to 30 degrees Celsius (78 to 86 degrees Fahrenheit). The water is warm until late autumn. Hotels range from mid-end to exclusive 4 and 5 stars hotels and private clubs. The 11th reunion of the Central European heads of state took place in Mamaia on May 27–May 28, 2004.